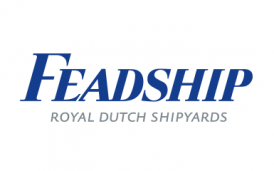 Based in the Netherlands and with roots dating back to 1849, Feadship is recognised as the world leader in the field of pure custom superyachts. Because every new Feadship is the best we ever built, all boats in our fleet set a new standard in terms of craftsmanship, design, engineering and construction. It’s what we like to call the relentless pursuit of perfection. But we don’t act in isolation. On the contrary, all Feadships are created in partnership with clients who invest in a wonderful building experience. They start their project with a blank page and set out to create a superyacht that is unlike any other in the world. There are yachts and there are Feadships.